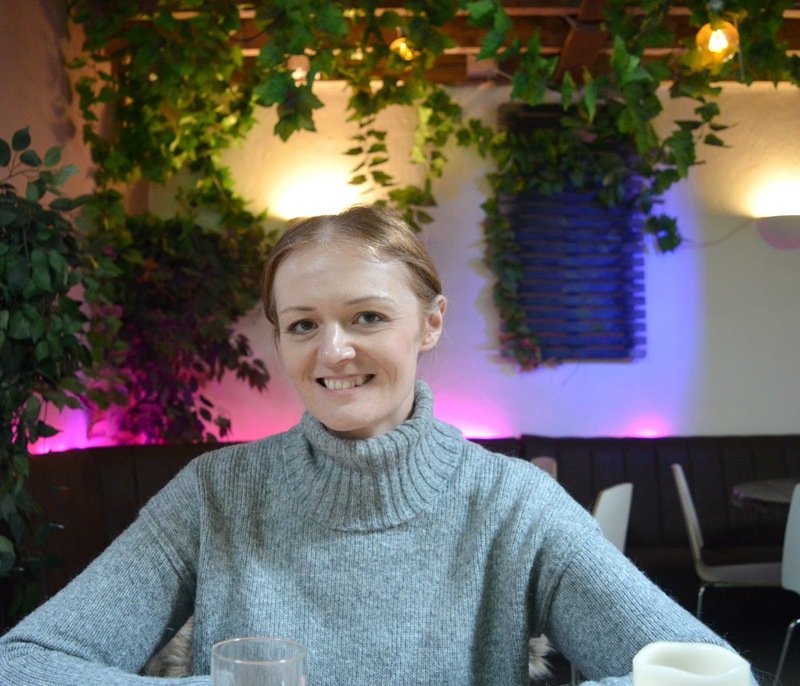 As every great foodie in the North East knows, Whitley Bay has become a bit of a destination over the last year. 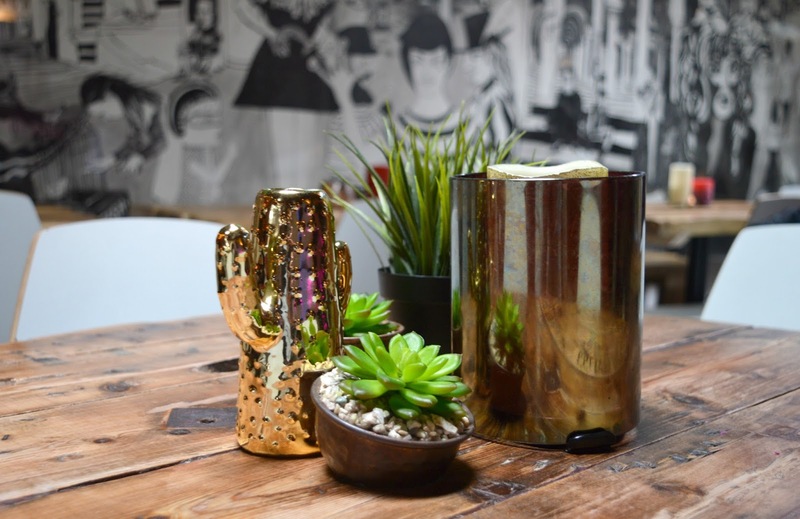 The most amazing independent cafes, bars and restaurants have opened their doors all receiving glowing reviews on Trip Advisor (and we all know how difficult it is to impress people over there!) and making our tummies growl with delicious food photos on Instagram. It was only a matter of time before I headed to the coast myself to see what all the fuss is about, starting with lunch at Elder and Wolf. A lot of people joke about how I'm yet to have a night "on the Toon" despite having lived in Newcastle for five years! Apparently it's a right of passage to get mortal on the Bigg Market before stuffing your face with a kebab. To some the kebab is a bit of a Geordie right of passage, but I decided for my first (yep, I've never had one!) what better place to start than Elder and Wolf, winner of the Best Newcomer UK Kebab Restaurant! We visited Elder and Wolf on a particularly grey and miserable day in the North East, fighting our way through the fog that had covered Whitley Bay we pushed our way through the doors to be greeted by the most delicious smells from the wood burning oven - we knew we were in for a treat. The place was very busy for a wet Saturday at the coast, a true testament to how popular Elder and Wolf is, luckily they had a table for two available and we made our way through the maze of hanging greenery, colourful lights and exposed brick to our table. We immediately felt at home. The menu at Elder and Wolf is small but an absolute dream with everything prepared using fresh local ingredients which are cooked to perfection on their wood burning oven. The temptation to cover our table in "one of everything please" was overwhelming but after seeing the size of the portions go past us we thought we'd best not be completely daft. 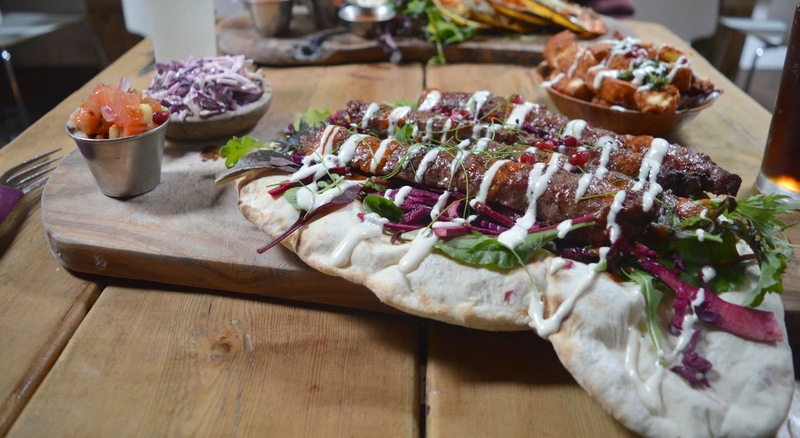 I ordered the Posh Lamb Kebab (£13.95) - Northumbrian Lamb served on a huge woodfired flatbread with homemade aioli, cocoa chilli sauce, salad, red cabbage, pomegranates and a side of Jalapeno Slaw. When it turned up I was amazed at its size, it was so huge it was falling off the wooden slab it came served on. Simon was quick to point out that kebabs I'd find on a night out in the Toon were definitely nothing like this, and so I've decided that if that's the case I'm only ever going to eat kebabs from Elder and Wolf thank you very much! It was one of the best meals I've had in a long time - packed with so much flavour, beautiful tender meat and the sweetness of the pomegranates really added something special to it. 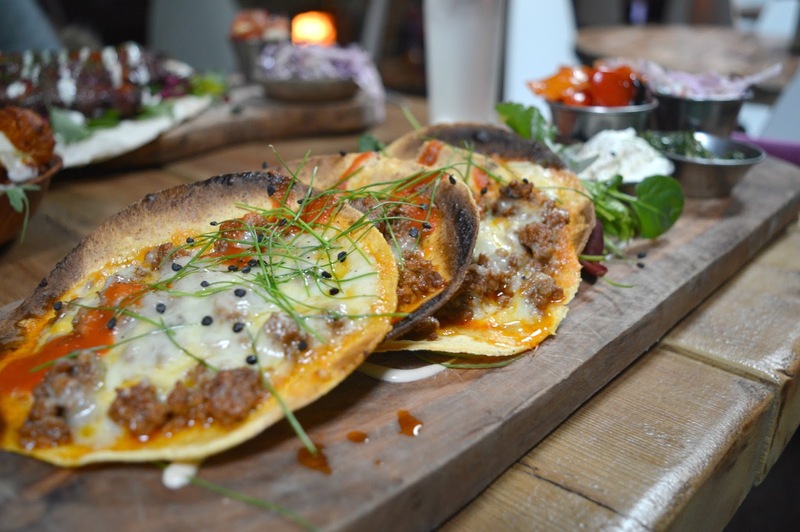 Simon decided on the Chilli Beef Taco Platter (£14.95) - three handmade tacos that came covered in chilli beef, cheese and garlic, chives and cocoa Mexican chilli sauce served with little dishes of salsa, slaw and roasted charr peppers. Each dish at Elder and Wolf is dressed to impress, I don't think I've ever seen such colourful and eye catching food turn up at our table before and Simon's taco platter looked seriously impressive. I managed one delicious bite before he wolfed the rest down with a grin on his face and beard slightly covered in cheese! We were seriously impressed with our first visit to Elder and Wolf and can finally understand for ourselves why everyone has being so crazy for this special place. We don't like to follow the crowd, but Elder and Wolf fans, can we join your club please? I need an Elder and Wolf fix soon. 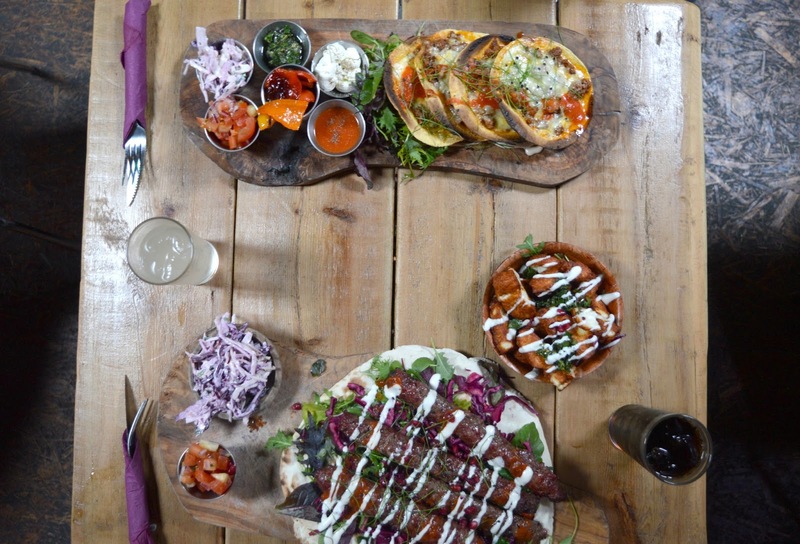 When we visited they didn't have an alcohol license and only sold pizzas and kebabs but Simon's tacos look incredible and I need to try them! There is zero way I would ever, ever buy a kebab after a night out from a kebab shop or van but Elder and Wolf's kebabs are definitely on another level! Wow that must have been back in the early days! You definitely need to go back and see the menu changes, the tacos were so good! Brilliant! Make sure you report back! Wow! That looks fabulous! 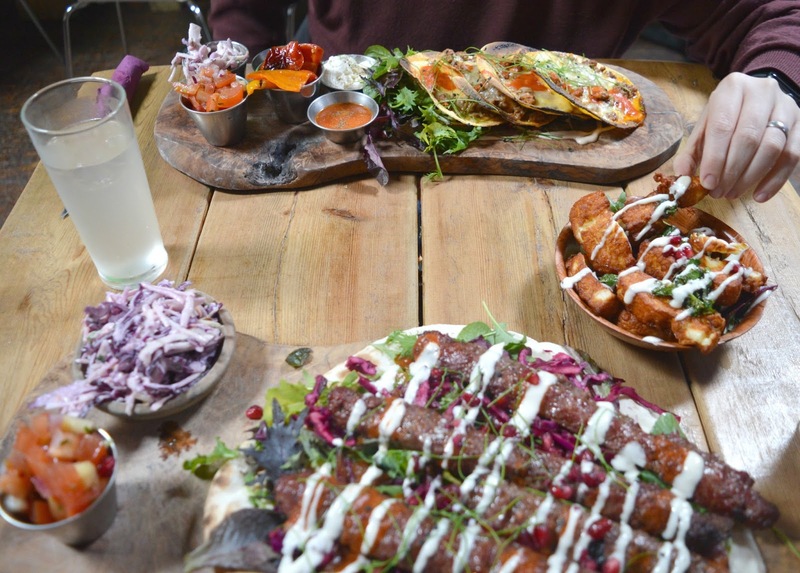 That kebab and coleslaw, and halloumi fries seem right up my street! I'm going to have to visit sometime soon. 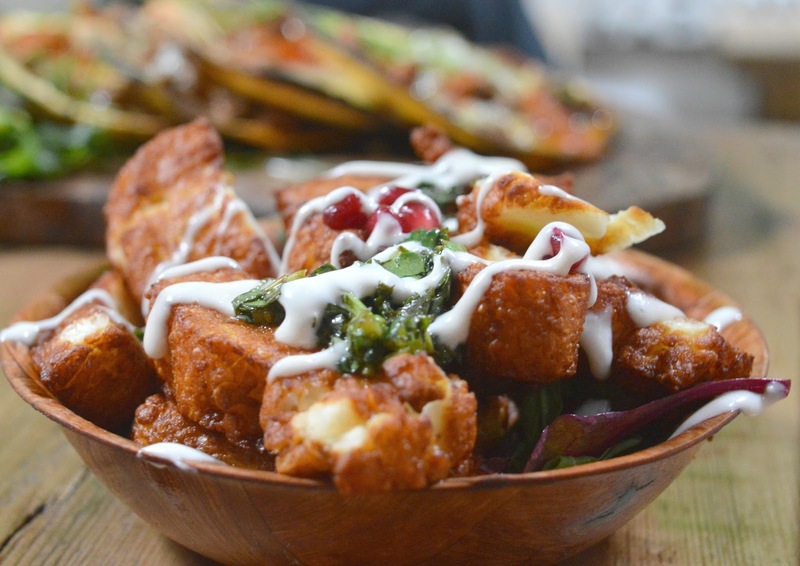 The Halloumi Fries were out of this world, I'd happily just have a massive bowl of those! Both these meals look amazing! I love the sound and idea of a posh kebab. Haha! And Simon is definitely right, night out kebabs look NOTHING like that! Though I haven't had one in many many many years.. I don't know but back in my youth when I went out I never fancied kebabs, I used to make myself some toast when I got back home! I'm not sure how the veggie menu is, but it's definitely worth a look! The food is delicious!